North Korea Pressures The South To Cancel Military Drills In Disputed Waters : The Two-Way North Korea is threatening retaliation if South Korea follows through on planned live-fire military drills on the same island that was the scene of a deadly artillery barrage from the North on November 23rd. 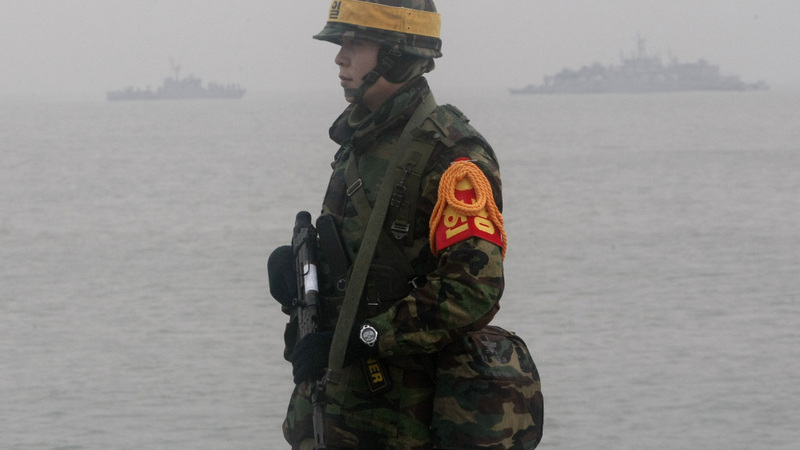 A South Korean marine stands guard on Yeonpyeong island on Friday. 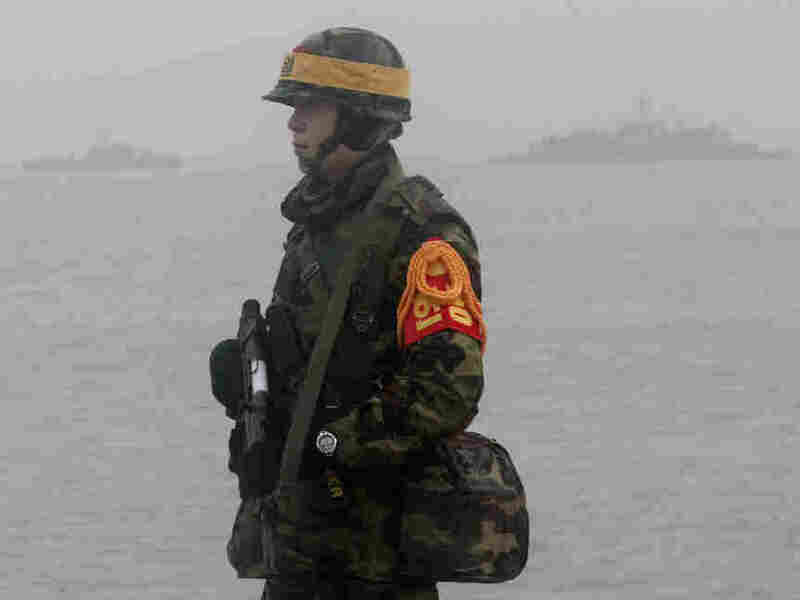 North Korea is threatening retaliation if South Korea follows through on planned live-fire military drills on the same island that was the scene of a deadly artillery barrage from the North on November 23rd. Four people died when North Korea rained artillery shells on Yeonpyeong Island in response to an earlier military drill there by South Korea. The island sits in disputed waters off the coast of the Korean Peninsula. "The South Korean puppet warmongers must immediately cancel the provocative coastal live-fire drills planned on Yeonpyeong." The one-day drills are scheduled to take place some time between Saturday and Tuesday, depending on the weather. "If war breaks out, it will lead to nuclear warfare and not be limited to the Korean Peninsula." The angry words from the North come just as New Mexico Gov. Bill Richardson -- a former U.S. ambassador to the United Nations -- was in Pyongyang on an unofficial mission to, as the NYT reports, "reduce tensions on the Korean Peninsula." Yonhap says that Richardson was invited to talks in North Korea by the country's chief nuclear envoy, Kim Kye-gwan. North Korea's nuclear program has been a point of worry, discussion and negotiation in the international community for years.